Those trees are wonderful. Love the blend of rich colors. What a great card, Susan! Love the colors and the technique! Cute cute cute! I love this technique and the resulting card!! 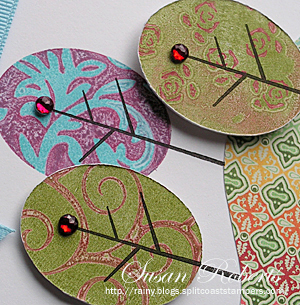 Oh Susan, what a great technique and fabulous tutorial I just love this gorgeous card! Have a blessed Easter filled with all good things; and, of course, chocolate! 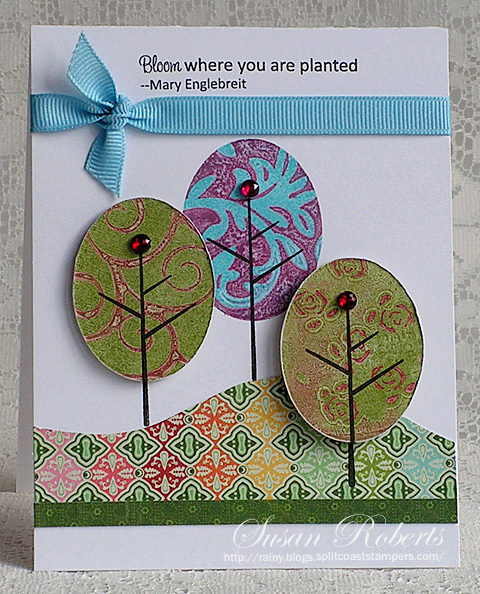 neat patterns on the trees and great paper to match! Very pretty! Awesome card Susan!! I’m going to have to give your tutorial a try.